APEX Dynamics, Inc., founded in 1987, started up with the production of take-out robots for plastics injection molding machines. 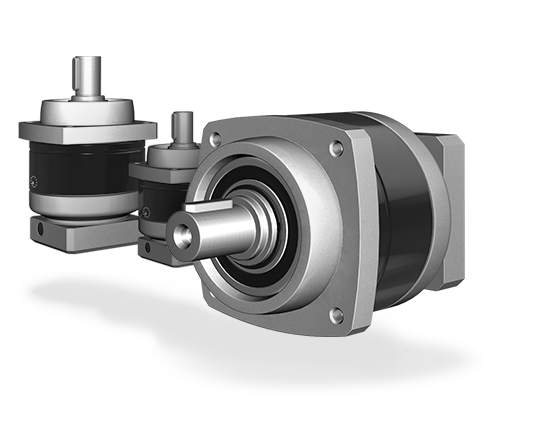 Having established reputation in the robot industry, APEX took step into the technology of high-precision planetary gearboxes for servomotors which meets the advancement of the industry. Driven by the innovation spirit, APEX keeps improving the product quality, optimizing the manufacture procedure, increasing the productivity, to provide best product and best service to different industrial requirements. APEX has also been aggressively investing manpower and resources to develop new products and further expand global sales network. Guiding by sustainable management concept, APEX keeps promoting brand image and is stepping forward to a worldwide leading company. APEX enlarges its product lines to meet diverse demands for dynamic markets. Furthermore, APEX offers customization service to satisfy customers’ particular requests for individual applications. The APEX’s online “Design Tool” is a powerful gearbox selecting system which contains enormous motor database that assists customers to select a proper combination of gearbox and motor. APEX’s Design Tool also offers a wide range of drawings for downloading to shorten customers’ R&D process. APEX’s environment- friendly goal is “continuously pollution improvement, health promotion and harm prevention”, meanwhile “strictly follow environmental rules and efficiently control waste” as the path to the eco-friendly goal. We selected materials approach, we will use the material spectrum analyzer view their material composition makes no meet our requirements. After initial processing of the workpiece, and then the transfer of heat treatment, adjusting the workpiece hardness of heart to the design requirements, the use of Rockwell (Rockwell) hardness of the workpiece hardness testing machine, metallographic microscope (Optical Microscope) observation of microstructure of materials, reuse Vickers (Micro Vickers) microhardness test machine the workpiece surface nitride layer hardness distribution to ensure that the physical properties of components designed to meet the needs of reducer, filter, in line with the design of components. Subject to stringent quality control process after manufacture of semi-finished, in order to achieve the design requirements of products, at this stage, we use the most advanced precision machining equipment, such as Mazak multi-axis machines, Studer grinders, LOPENZ slotting machine, LIEBHERR hobbing machine, etc. will achieve our design to meet consumer demand for high-precision gearhead functional requirements. To block gauge, ring gauge, air gauge, gauges and other than the right type geometry of the workpiece implement quality control, the use of CMM 3D dimensional measurement equipment, testing workpiece roundness, runout and total runout degrees, round tube, flatness, straightness, squareness, cone, parallelism and other geometric tolerances, can measure all the gear tooth per tooth, to detect the pitch and error. The gear surface subjected to ion nitriding treatment (Plasma Nitriding), with a low amount of deformation, the advantages of high precision, high surface hardness of around 840Hv, sports gear needed when providing abrasion properties. The gear core hardness adjusted to 30Rc moderate toughness can be obtained, so that the gear has a surface wear resistance and impact resistance core part and increase gear life. Take the high-tech interdental tooth trimming technology allows smoother engagement with detachment, reduce noise and heat generation. After a series of each component quality control, the precise assembly, finished goods and then be tested, measured its backlash and other performance specifications in order to ensure the quality of our products has been maintained in appearance when in the best condition. Town, Tongzhou District, Beijing, CHINA. Chongqing Apex Dynamics CO., LTD.
No. 1102A of D area , CFG mansion ,Bao Yuan Road , Bao' an District, Shenzhen, CHINA. APEX (XIAMEN) DYNAMICS TECHNOLOGY CO., LTD.